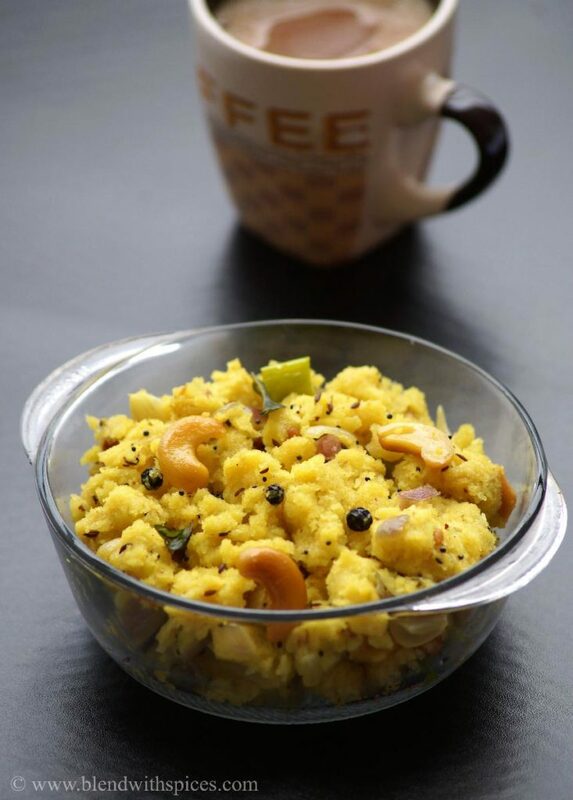 If you are looking for more Breakfast recipes then do check Carrot Paratha, Masala Pav, Panki, Bombay Veg Sandwich, Idiyappam, Paneer Pav Bhaji, Mamidikaya Borugula Pulihora, Apple oats porridge, Methi Paratha and Lemon Sevai. Dry roast the semolina on a medium flame until you get a nice aroma. Don’t let it change color. Heat oil and ghee in a pan. Add the mustard seeds, chana dal, urad dal, cumin seeds and black pepper and fry till they start to brown a little. Then add the cashews and fry until they are golden browned. Add the finely chopped ginger, chopped green chillies and curry leaves and fry for a couple of seconds. Add the chopped onion and fry till transparent. Then add water, salt and turmeric powder to the onion mixture and let it come to a boil. Add the coconut and combine. Reduce the flame to low. Slowly add the roasted semolina in a sprinkled way, stirring constantly to avoid lumps. Cover it with a lid. Cook, stirring occasionally for 5 minutes or until well cooked. I love to cook. However, some days, I just want to be able to kick back and relax to a good movie or book without the interruption of preparing a meal. Other times, I simply want to indulge in the variety of a menu that I haven’t prepared myself. It may sound a bit crazy that someone like me who thrives on recipes would want to break from my personal routine and joy, but sometimes I’m just too tired to cook but too hungry to ignore these food deals. Every person deserves a break every now and then! Mouthwatering upma.. Love to have it with some coconut chutney. 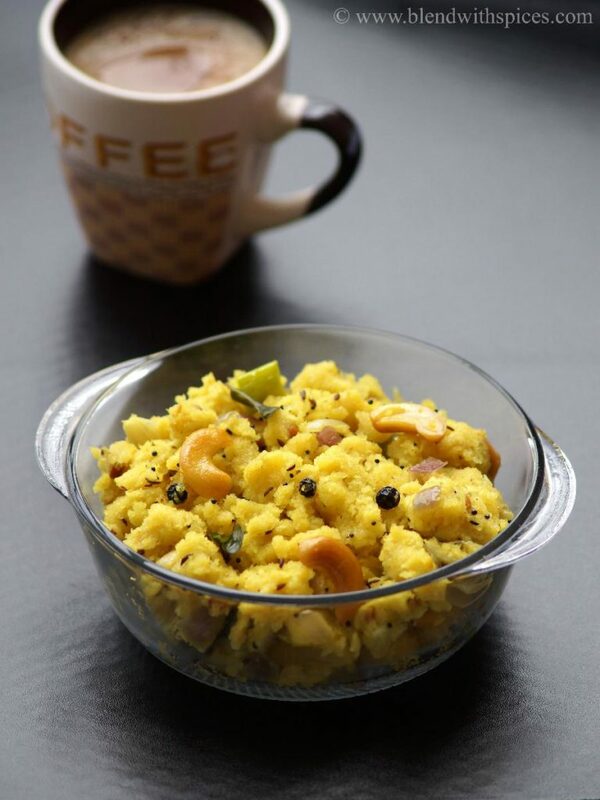 I can start my day with this colourful upma,simply delicious.